New Delhi [India], Oct 8 (ANI): Kangana Ranaut, who recently accused 'Queen' director Vikas Bahl of sexual misconduct, has lashed out at Sonam Kapoor Ahuja for 'judging' her 'Me Too' story. New Delhi [India], Oct 7 (ANI): In the wake of the Nana Patekar-Tanushree Dutta row, Bollywood diva Kangana Ranaut has lent support to a girl who accused her 'Queen' director Vikas Bahl of sexual harassment. New Delhi [India], Oct 2 (ANI): The teaser of Kangana Ranaut's period drama 'Manikarnika' was released on Tuesday morning and the leading lady's fans surely have a lot to say about the much-awaited film. Mumbai, (Maharashtra) [India] Oct 2 (ANI): The teaser of period drama 'Manikarnika' is finally out. The brief glimpse of the Kangana Ranaut-starrer, which is based on the life of the warrior queen of Jhansi, looks promising to say the least. New Delhi [India], Sep 08 (ANI): Bollywood actor Kangana Ranaut has revealed her fierce look in a new still from her upcoming period drama 'Manikarnika: The Queen of Jhansi'. 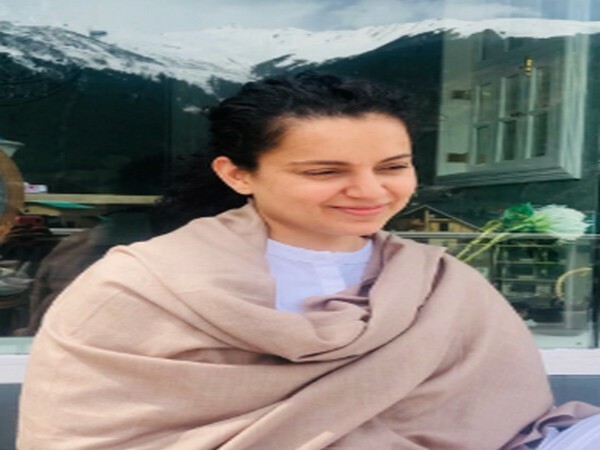 New Delhi, [India] Sep 06 (ANI): In order to spread awareness on the rising crimes against women, Bollywood actress Kangana Ranaut said that they need to be awakened because it is the need of the hour. New Delhi [India], Aug 28 (ANI): Bollywood actor Disha Patani rubbished the reports claiming that Hrithik Roshan flirted with her, calling the superstar a 'dignified person'. New Delhi [India], Aug 21 (ANI): Bollywood 'Queen' Kangana Ranaut is all set to play the role of a kabbadi player in her upcoming film, titled 'Panga'.